Hello everyone, I didn’t post for a while now. Soo today I am going to talk about new product that came in my country and I am person that is obsessed with skin care. So I bought this mask and it is a tissue mask that has green tea extract in it. It says that moistures and fresh your face. And needs to be on the face at least 15 min. It tightnes pores and you use it once a week. So I tried mine yesterday. I washed my face with my Neutrogena gel and put this mask on my face. Emediately it felt so hydrating on my skin. As the minutes went the mask was tighting my face and my skin soaked the gel into it. 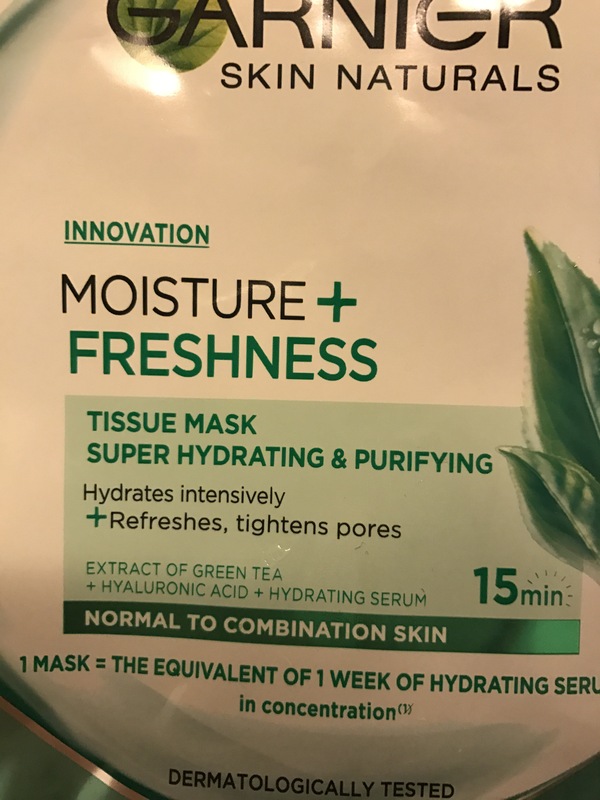 So when I took of the mask I rubbed the excess into skin like I normally do with my tissue masks and I felt soo much moisture and nurishes on my face. It was so refreshing. Later I felt that this mask does what is supposed to do it tightened my pores and made my skin so moisturied and sooooo younger. That is all. 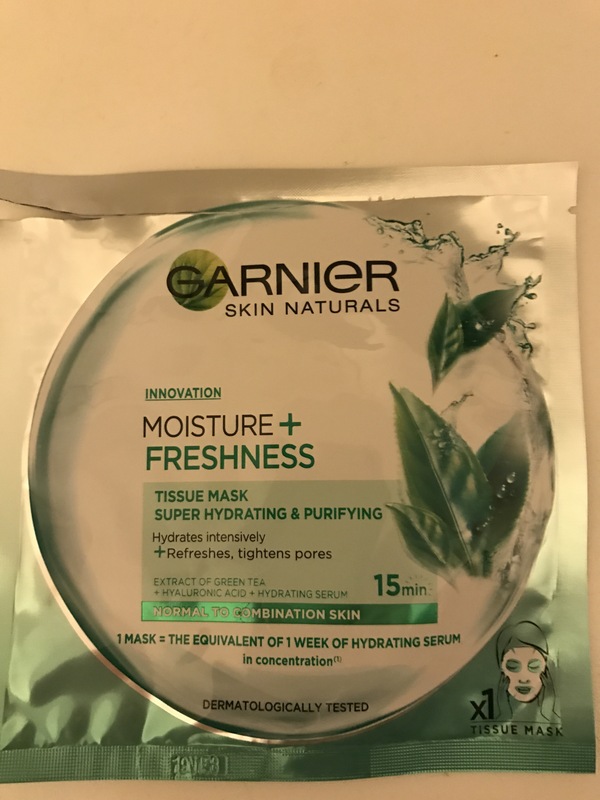 Have you tried any of these new masks from Garnier, please comment and reccomend to me some tissue masks :-). I have really dry skin and everything that is new I will try. 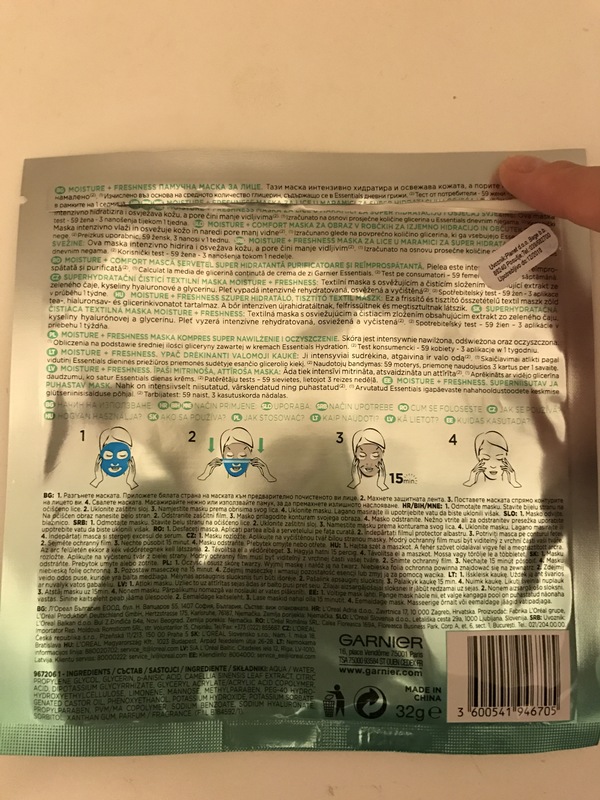 Hi Ivana, I’ve also recently reviewed a similar Garnier sheet mask, called Hydrabomb. But I haven’t seen this one yet… I usually love korean sheet masks. Have you tried them out before? Love, Sarah.